FISITA, the international network for automotive engineers, which represents over 210,000 engineers in 37 countries, is to host its biennial session in India for the first time (Chennai, October 2-5). Dan Nicholson, president of FISITA and vice-president — Global Propulsion Systems, General Motors, says engineers — be they auto, technology, electrical — are revolutionising the way we commute and transport. We are amid one of the great technological revolutions in history. Robotics, the Internet of Things and artificial intelligence are radically transforming how we work, build, live, learn – and how we travel. The mobility revolution is upon us. 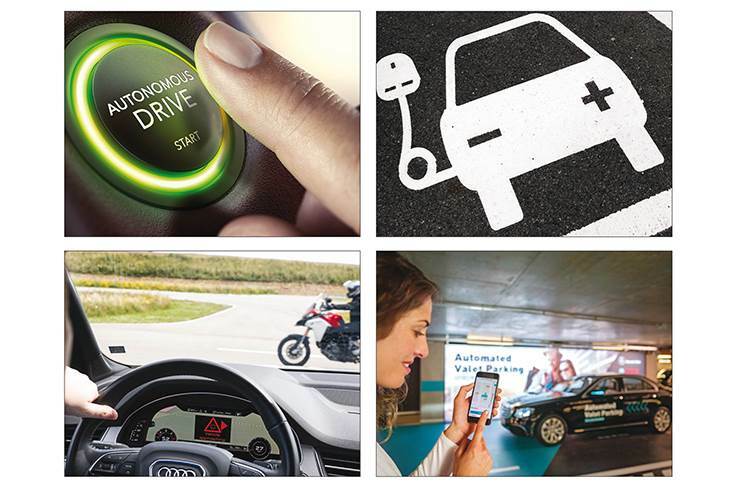 From autonomous driving technology, electric vehicles, cars that talk to each other, vehicles you can summon from your smartphone – the future is here. At the centre of this mobility revolution are the engineers who are turning science fiction into science fact. As GM’s vice-president of Global Propulsion Systems and president of FISITA, I am looking forward to joining the 2018 FISITA Congress in Chennai, India, which will be a huge gathering of the brightest engineering minds in one place. Against this backdrop, it’s important that FISITA harnesses the opportunity to understand what is driving change in mobility, who is leading change and what will the future look like. So, what is driving change in the way we move? I put it down to four main factors: road safety, pollution, carbon emissions and congestion. Take road safety: every year, almost 1.3 million people die in road fatalities. Every one of them is a mother or father, sister or brother, son or daughter or friend. Global data indicates that more than 90 percent of those crashes are caused by human error. With new safety technologies and self-driving vehicles that never operate while drivers are drowsy or distracted, we can save lives. Instead of simply trying to protect passengers during and after a crash, we prevent crashes from happening in the first place – and it is automotive engineers who are at the forefront of developing and refining this lifesaving technology. By allowing vehicles to travel closer together and more safely and at higher speeds, autonomous and semi-autonomous vehicles will also be one of many advancements that contribute to easing congestion over time. Rapid urbanisation is increasing congestion worldwide. India currently has five megacities, with a population above 10 million, including Chennai. Hyderabad and Ahmedabad are expected to join the list by 2030. This means we must implement new ways to move more and more people through complex urban environments. Ride and car sharing technologies will play a huge role – and they will be based on autonomous and fully electric vehicle platforms. As such now all over the world, state and national governments are taking new steps, particularly electrification, to tackle carbon emissions. The Indian government has stated its objective that by 2030, 30 percent of new vehicles sold will run on electricity. In fact, the policies of the world’s two most populous countries, India and China, are driving increased investment in EVs in our industry. In India, the stage is set for a mobility revolution, marked by some watershed changes such as EVs and smart grids. Electric vehicles, along with hybrid technology and ride sharing, provide an opportunity to India and other nations to meet their climate mitigation promises and allow the businesses and people to shift to greener infrastructure and utilities. This has the ability to bring about positive change not just in people’s lives, but across the industrial sectors like auto, technology, logistics and human resources. From autonomous cars to EVs, vehicles that talk to each other and cars that you can summon from your smartphone, automotive engineers are turning science fiction into fact. India is an important incubator for modern technologies and new automotive products. It has an industrial base that can be supported by quality infrastructure, smooth policy implementation, and by acting on what consumers are asking for, to drive technological innovation and change. Remarkably, India is working towards developing 100 smart cities by 2020, where the Indian auto industry, given its range of smart mobility solutions is expected to contribute immensely. With each major advancement in mobility – from horseback to ships, steam engines to combustion engines and air travel – there has been a demonstrable benefit to humanity. These innovations bring people together, they get goods to market quicker, they contract and connect our world, they power our economy and they create new jobs and opportunities. Electric vehicles reflect a new wave of technological advancement, with engineers as the flag-bearers of change and innovation. Engineers – be they mechanical, software or electrical – are revolutionising the way we commute and transport. They are making combustion engines more efficient, while also continuing to evolve and refine alternative propulsion technologies: plug-in hybrid and fuel-cell electric. Their technical know-how is key to industrialising new propulsion systems and making conventional powertrains better and better every day. With these smart mobility solutions now within reach, we are at the cusp of delivering substantial change for humanity and the environment. Not only will they be efficient and safe, but advanced propulsion system and transportation technologies will also contribute to transforming our urban and natural environments for the better.